This week whilst browsing in my local shopping centre, mainly due to The Carphone Warehouse not opening until 9.30am which I was specifically going for, I found myself wandering aimlessly around Poundland. I am quite partial to bargain and pound stores as there are some fab bargains to be had! Not all the time but every now and again they come up trumps especially on the make up and beauty front. I always check this section when I go instore and being at the front it is quite handy. If you read my New Hair post, you will of noticed that I recently dyed my hair using a dye I got from Poundland. I thought it was just as good if not better than more expensive dyes I have bought. I love having the blue hue over the black but this one rinsed off easily, not taking days or weeks before it completely rinses clear like I have experienced before! 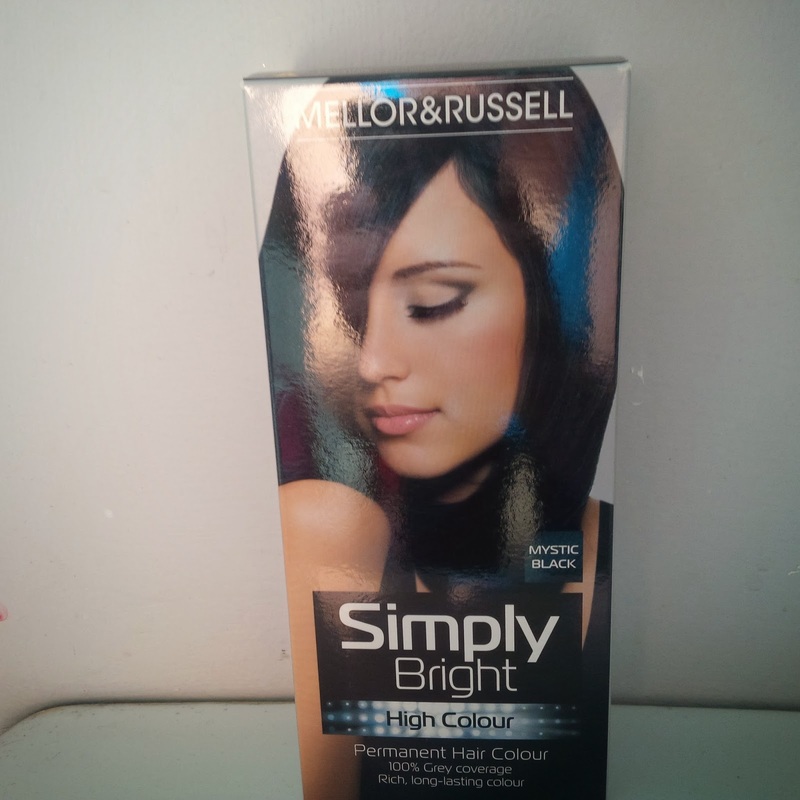 Great even colour, soft healthy hair and lovely shine what more could you want for £1! My next favourite buys are nail varnishes! Olivia and I love nail varnishes. We have loads even though I hardly wear them due to work causing them to chip and crack within 10 minutes of starting my shift. This week we have found 3 lovely nail varnishes. 1 Revlon and 2 Rimmel. 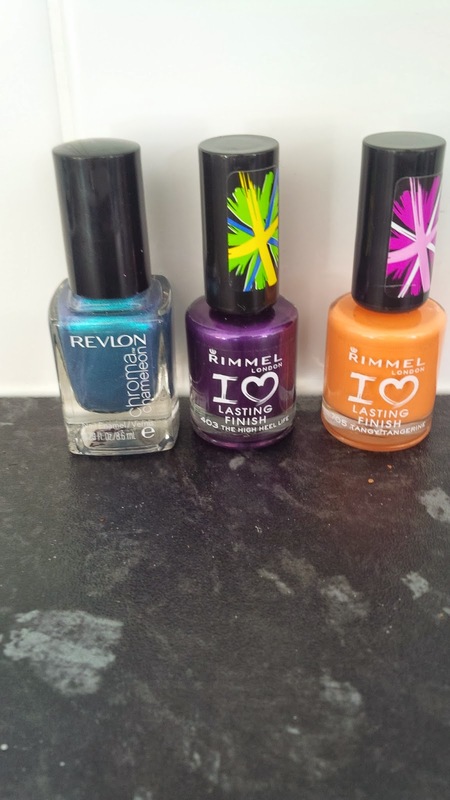 Rimmel are one of my favourite nail varnish brands especially the ones in the picture above. The shades are lovely as well. Purple is our favourite colour and we just love this one shade 403 The High Heeled Life. Shade 705 Tangy Tangerine screams summer, it’s a bright fruity colour and I can’t wait to use it. But the Revlon one is a Chroma Chameleon in Aquamarine and looks from the bottle, just gorgeous! I really need to start adding some colour to my fingers again! Have you found any good bargains lately? What are your tips and where do you shop for them?